DIANA ROSS PLANS NINE PERFORMANCES AT THE VENETIAN IN APRIL: AEG Live and The Venetian announced that legendary Diana Ross will perform a special nine-show engagement at The Venetian Theatre from April 1-18. 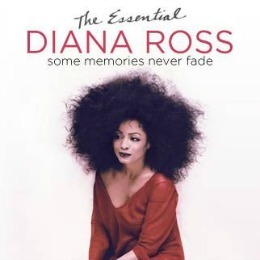 Tickets to “The Essential Diana Ross: Some Memories Never Fade” start at $59.50.The music icon is forever cemented in history with two stars on the Hollywood Walk of Fame. “Stop! In The Name of Love,” “Where Did Our Love Go” and “You Keep Me Hangin’ On” have all been inducted into the National Academy of Recording Arts & Sciences Hall of Fame. 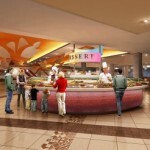 FOUR NEW RESTAURANTS IN LAS VEGAS: The newly redesigned contemporary buffet at the Excalibur located on the Castle Walk is simple and spacious and accommodates up to 610 guests at a variety of booths, banquettes and loose seating. Guests can have made-to-order crepes and ice cream bars hand-rolled and dipped. Hours are 7 a.m. to 10 p.m. daily. Prices range from $17.99 for breakfast to $26.99 for dinner on Friday and Saturday. There are also discounted children’s prices and all-day passes. Something else is a Buffet To Go for $16.99 Monday-Thursday and $19.99 on weekends and holidays. Yardbird Southern Table & Bar at The Venetian® hosted before and after parties for Bob Anderson’s debut of his Sinatra show. 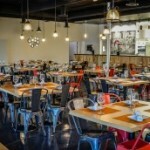 This restaurant by 50 Eggs, Inc. has been successful in South Florida for 10 years. 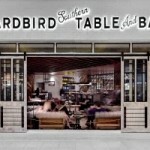 Yardbird occupies an 8,000-plus square-foot-space in the resort’s busy Restaurant Row and seats 180 guests. A highlight on the walls is a rare 75-piece collection of John R. Hamilton black-and-white photography of celebrities from the 1940s to the ’90s. Urban Turban is a Bombay Kitchen and Tapas Bar located near the Strip in an area plaza at 3900 Paradise Road. This is Urban Turban’s first location in the United States following success with the original New Zealand location. Owners Jasmine and Bhushan Arolkar drew inspiration from their hometown in India. The culinary team of professional chefs integrates classic Bombay flavors and spices with contemporary Indian fare favorites. Urban Turban is open daily from 11 a.m. until late. SLS Las Vegas opened the 24-hour Northside Café this weekend serving breakfast, lunch, dinner and late-night menus inspired by Las Vegas’ classic coffee shops. Northside Café occupies the centrally located space that was formerly home to The Griddle Café that restaurant founder and owner Jodi Hortze closed last year to operate her brand in-house. LEGENDS IN CONCERT AT FLAMINGO HAS NEW LINEUP: “Legends in Concert,” Las Vegas’ longest-running live tribute show now in its 31st year, has a new talent lineup for the spring season at the Flamingo. The show’s new Elvis has Leo Days’ making his Las Vegas debut. Katy Perry is portrayed by Nellie Norris and Steven Tyler by Chris VanDahl. Performing in Las Vegas for the first time, Elisa Furr takes the stage ad Celine Dion starting Feb. 2. Current cast member and fan favorite Jason Jarrett, performing as Michael Jackson, will continue his reign as the King of Pop. “Legends in Concert” is performed 11 times a week. ‘LIPSHTICK’ ADDS SARAH COLONNA TO ITS ROSTER: “LIPSHTICK – The Perfect Shade of Stand Up” has added Sarah Colonna to the list of powerhouse comediennes to appear on The Sands Showroom stage in 2015. 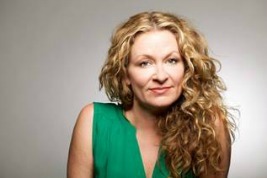 The “Chelsea Lately” regular and New York Times bestselling author will make her Lipshtick debut alongside fellow funny girl, Iliza Shlesinger on Saturday, May 2. Colonna’s book “Life As I Blow It” chronicles her journey through stand-up. 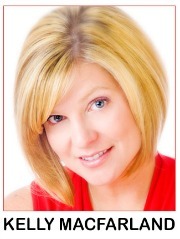 Appearing next will be Lisa Lampanelli on Feb. 7. MORE DATES SET THIS YEAR FOR THE ACES OF COMEDY SERIES: As part of The Aces of Comedy Series that launched in 2010 at The Mirage, comedian Ray Romano, best known for “Everybody Loves Raymond” and “Men Of A Certain Age,” will again team up with David Spade April 10-11 and May 29–30. Tickets start at $79.99. Daniel Tosh will return April 24–25. Tosh is one of the most requested headliners in the country and currently stars in “Tosh.0,” a series he executively produces for Comedy Central. Tickets start at $59.99. Ron White, best known as the cigar smoking, scotch drinking funnyman from the “Blue Collar Comedy Tour,” will perform many dates in 2015 starting June 5-6. Tickets start at $59.99. TROPICANA WEDDINGS INTRODUCES ROCK STAR WEDDING PACKAGE: Tropicana Weddings, which is a full-service wedding venue with a free-standing wedding chapel, is partnering with the resort’s headlining show “Raiding the Rock Vault” to offer a Rock Star Wedding Package with lead vocalist Paul Shortino, who is also an ordained minister, serving as the officiant. To launch the package, “Raiding the Rock Vault” has selected a couple to wed in the inaugural service on Tuesday, Feb. 3 at The New Tropicana. 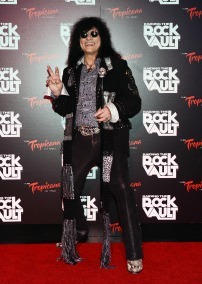 Shortino as minister will be joined by fellow “Raiding the Rock Vault” stars serving as ushers. Access to the nuptials will be granted to fans through contests on social media, who will be invited to attend the ceremony and an exclusive VIP reception and see the show. The Rock Star Wedding Package is available for $1,399 and features many amenities including VIP tickets to “Raiding the Rock Vault” and meeting the band. 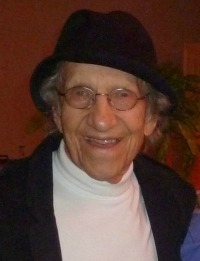 LAUGH FACTORY CELEBRATES SAMMY SHORE’S BIRTHDAY: The Laugh Factory at the New Tropicana will celebrate veteran comedian Sammy Shore’s 88th birthday on stage and with a birthday cake on Saturday, Feb. 7. Shore was the comic who was hand-picked by Elvis as his opening act. Headlining the entire week, Feb. 2-8, will be Brian Scolaro and Rick Right with Traci Skene hosting. Tickets for the 8:30 and 10:30 performances are $34.95 and $44.95. 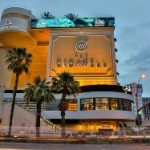 FIRST MOBILE KEY ON THE STRIP DEBUTS AT THE CROMWELL: With the launch of eKey, guests at The Cromwell boutique hotel can now take advantage of entering their hotel rooms with only their phone. All 188 rooms are enabled for mobile key. Hotel guests using the eKey will receive a link to download The Cromwell app and an access code tied to their iOS device and reservation. When the app is downloaded, guests enter their ID number and enter their room by placing their iOS device next to the lock. The eKey will also activate the hotel elevator. The Cromwell is Las Vegas’ first hotel to utilize Kaba’s cloud-based, BLE (Bluetooth Low Energy) enabled locks featuring Legic ID Connect. 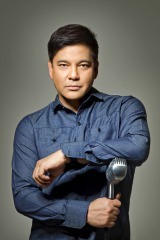 M RESORT ANNOUNCES MARTIN NIEVERA LIVE IN CONCERT APRIL 4: Martin Nievera will make a return visit to the M Resort’s 2,300-seat M Pavilion on Saturday, April 4 at 7 p.m. Singer Nievera has earned 18 platinum records as well as five double-platinum, three triple-platinum and one quadruple-platinum album. Nievera has appeared in 11 movies and seven television series and specials. He is currently a host on the musical variety television show “ASAP” and recently appeared as a celebrity judge on “The X Factor Philippines,” both programs of the popular ABS-CBN network in The Philippines. Tickets are $30, $38 and $46. HARRAH’S HEADLINER MAC KING PARTICIPATES IN NEVADA READING WEEK: Throughout the month of February, Harrah’s headliner comedy-magician Mac King is partnering with the YMCA of Southern Nevada, The Toy Box in Downtown Summerlin and Splash Studios LLC to collect books for elementary school children in local at-risk schools. Mac King is inviting the public in February to donate three or more new or gently used children’s books at YMCA locations to receive a pair of tickets to “The Mac King Comedy Magic Show” and special offers from the host venue. King will personally deliver the books to kids in at-risk schools on March 2–6, during Nevada Reading Week 2015. TONY SACCA AND THE SACCETTES HEADLINE AT SANTA FE: Tony Sacca and Saccettes Joelle Righetti and Connie Murray, who are both veteran performers from “Legends in Concert,” will take the audience on a captivating musical journey a 10-piece ensemble on Sunday, Feb. 8 at 4 p.m. in the Chrome Showroom at Santa Fe Station. Sacca’s personal song exploration will be sprinkled with his hometown sounds of Philly, tributes to Barry Manilow, The Four Seasons, Doo Wop, his original Las Vegas songs and a touch of Broadway. The cover charge is $15 cash at the door. 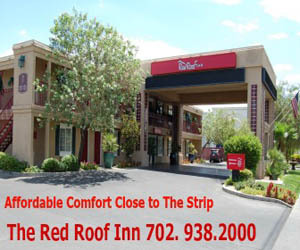 Call 702-364-8669 for advance reservations. ABOUT TOWN NEWS: Love is in the air and murder on the menu for Valentine’s week Feb. 9-15 at “Marriage Can Be Murder” at the D Las Vegas downtown. The “killer” date night special includes a glass of champagne, a rose, box of chocolates, an evening of murderous fun and a three-course meal. Cost is $74.98 per person; online promo code is VDay15. The Gateway Arts Foundation will present Motown and more starring The Fabulous Nite Kings at the Starbright Theatre Sunday, Feb. 8 at 2 p.m. Tickets are $18, call 702-255-0695. Reminder that an opening reception will be held on Friday, Feb. 13 at 7 p.m. for the debut of visual artist Linda Alterwitz’s exhibit “While I Am Still,” combining art with science and technology to explore the human spirit, at “The Studio” inside the Las Vegas-Clark County Library District’s Sahara West Library, 9600 West Sahara Ave. Exhibit runs through May 9. SOUTH POINT ATTRACTS VARIETY OF EVENTS: The Vegas Shoot, the world’s largest indoor archery tournament, will attract novice to Olympic archers for three days of competition at the South Point Arena Feb. 6–8. As the first leg of the 15th annual three-star tour, more than 2,500 archers will compete for $275,000 in cash and prizes. This event is free and open to the public. The LVCHA Weekend Winter Championship Cutting Horse Event and Western Gift Show will be Feb. 11–15 at the arena. This event is free and open to the public. The Rocky Mountain Gun Show will be in the South Point Exhibit Hall Feb. 14 and 15. The two-day exhibition offers access to one of the world’s largest displays of machinery, ammunition and apparel. BACK BAR USA CELEBRATES ART OF MIXOLOGY WITH THREE-DAY EVENT: Back Bar USA will present “For the Love of Cocktails” in partnership with world-renowned mixologist and author Tony Abou-Ganim, the United States Bartenders’ Guild (USBG), Delano Las Vegas, Mandalay Bay, and Herbs & Rye. The three-day mixology event runs Feb. 12-14.On Thursday, events include: Meet The Masters Wine Dinner at Aureole in Mandalay Bay from 6-9 p.m.; Cocktails and Conversation at Franklin in Delano from 9 p.m.-1 a.m.; and The Life of a Bartender at Herbs & Rye, 3713 W. Sahara Ave., from midnight to 4 a.m.There will be Cocktail Seminars and Interactive Classes on Friday from 11:30 a.m.-5 p.m. The headlining event will be the “For The Love Of Cocktails” gala that evening at miX on the 64th floor of Delano from 7-10 p.m. with more than 30 mixology stations with bartenders from Las Vegas and around the world featuring original cocktail recipes crafted with fresh ingredients, plus live entertainment and passed hors d’oeuvres. Fundraising tickets are $75. On Saturday, there will be a Bloody Mary Brunch at Della’s Kitchen inside Delano from noon to 3 p.m.
ANDRE’S RESTAURANT HOSTS WHISK(E)Y WEDNESDAY AGAIN: Andre’s Restaurant and Lounge at Monte Carlo will host its first Whisk(e)y Wednesday of 2015 on Feb. 4 and showcase the Duncan Taylor company’s Black Bull. Whisk(e)y Wednesday takes place in Andre’s signature second floor cigar lounge and features an unlimited whisky tasting. The “grand tasting” will showcase two sessions: 7:30 to 9:30 p.m. and 10 p.m. to midnight. After the debut of the new flight, it will remain on Andre’s menu until the next tasting on April 1. Cost is $35. FRANKY PEREZ AND BARRY BLACK PERFORM FREE SHOWS AT THE PALMS: The Lounge inside Palms continues to offer affordable and free live entertainment. Franky Perez and Barry Black will make 10 p.m. special guest appearances this month.Perez will perform on Saturday, Feb. 14. WET REPUBLIC AT MGM GRAND ANNOUNCES summer DJ LINEUP: WET REPUBLIC Ultra Pool at MGM Grand has a collection of new and returning highly acclaimed DJ superstars taking over the turntables this summer. The new talent (in alphabetical order) includes Armin Van Buuren, Chuckie, DVBBS, Oliver Heldens, Krewella, Nicky Romero and Showtek. Returning headliners include Calvin Harris, Tiësto, Hardwell, and Steve Aoki as well as Afrojack, Above & Beyond, The Chainsmokers, Fergie (DJ), Martin Garrix, Dada Life, Sunnery James & Ryan Marciano, The Bingo Players, Eva Shaw and W&W.